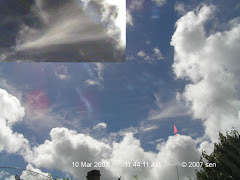 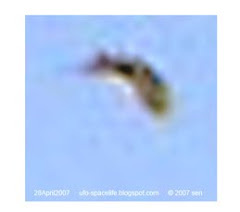 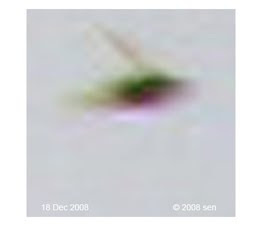 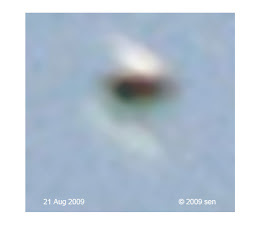 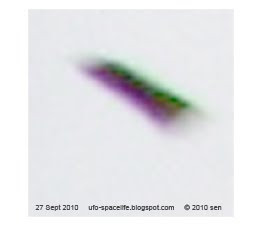 There are few more different colored triangle UFO images that have been captured above my house: dull green, brown, white. 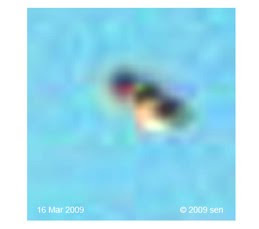 their color may depend on their properties and environment. 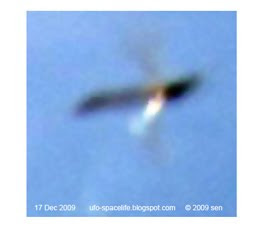 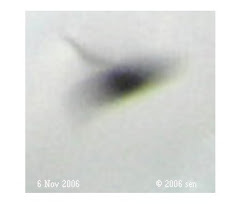 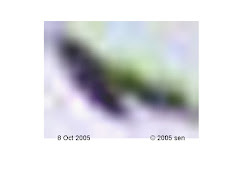 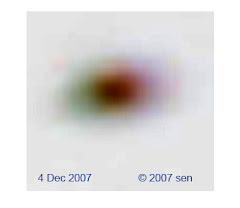 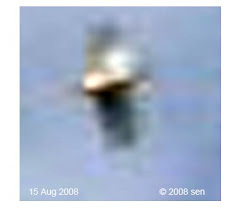 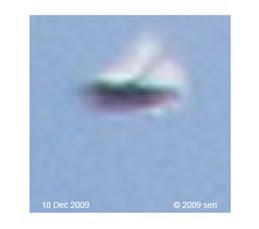 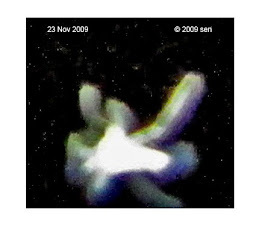 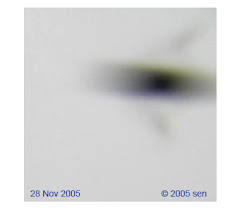 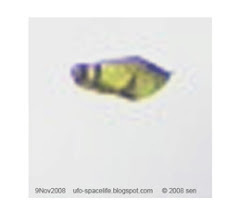 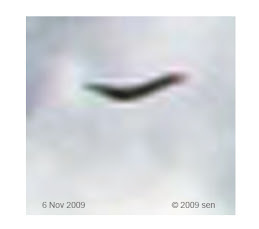 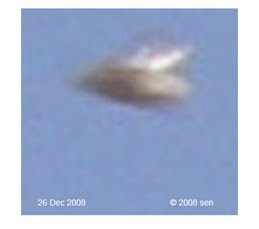 11 Nov 2008, 1: 34:54 PM a visible giant white triangle ufo hung about high above my roof. 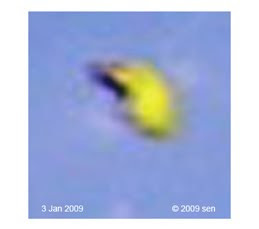 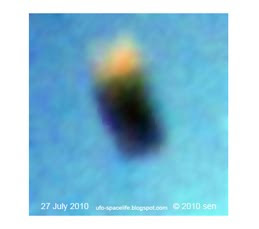 Between the triangle UFO and the roof top, there was an invisible dome shaped golden UFO. 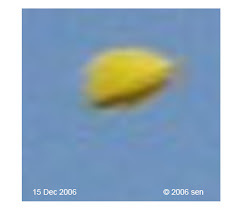 The next second, 1:34:55 PM the golden UFO rose up, back to the triangle UFO, The distance it traveled was not less than 1-1.5 kilometers(?). 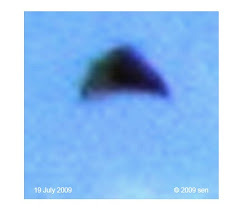 the size of dome shape UFO only 1/50th of the triangle UFO. 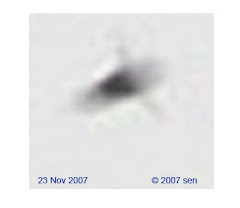 The next day, 12 Nov 2008,11:9 AM three giant visible triangle UFO hung high above my garden’s front sky, one slightly on top of the other. 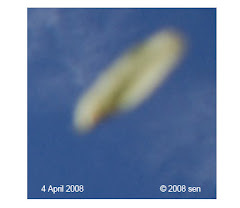 11:10:06 AM, A bigger sized ( than the one from yesterday) golden dome shape UFO appeared. 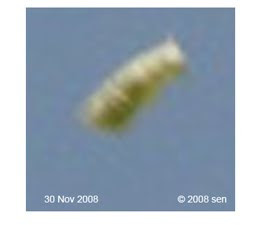 It is invisible. 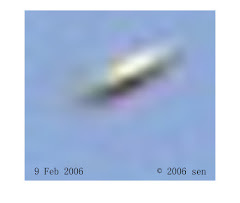 It is inconvenient to show these original pictures to the public for some reasons.